As gifts are opened Christmas morning, be careful and take the time to check for any sharp/pointy edges. Eye injuries often occur on Christmas Day when excited children play with new toys. Christmas lights can break or older styles could even explode. The glass is extremely thin and small shards pose another eye safety risk. Use caution when untangling strands. 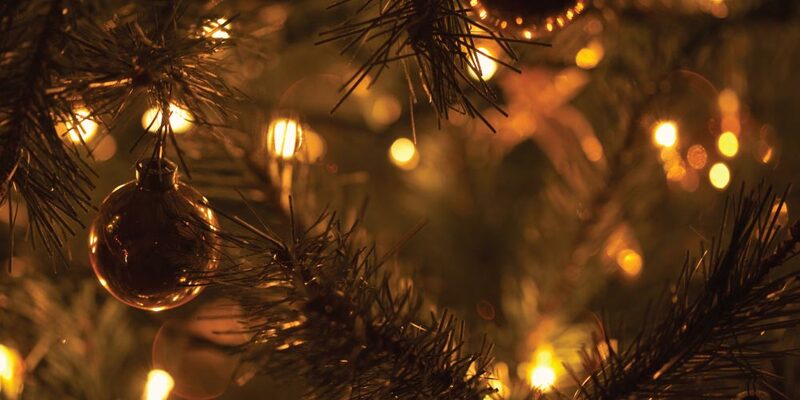 Even something as innocent as watering the tree or adjusting an ornament can result in eye injury since tree branches often come dangerously close to eyes during these activities. Pay attention to tree branches and make sure they avoid contact with your eyes. New Year’s celebrations and champagne go hand in hand, but so do champagne bottle corks and eye injuries. This year, uncork that bottle of champagne with a towel over it to ensure the cork doesn’t fly. While not as flashy as a cork flying across the room, sending a party guest to the emergency room isn’t exactly a positive party memory. All of us at Bella Eye Care Optometry wish you a very happy, very safe, and very joyous holiday season!